The origin of tortellini is surrounded by several legends. One says that this dish was born in Castelfranco Emilia (province of Modena). One night during a trip, Lucrezia Borgia checked into an inn in the small town. Over the course of the night the host became so captivated by Lucrezia's beauty that he could not resist the urge to peek into her room through the keyhole. The bedroom was only lit by a few candles, and so he could merely see her navel. This pure and innocent vision was enough to send him into an ecstasy that inspired him to create the tortellini that night. Another separate but similar legend, originating in medieval Italy, tells how Venus and Jupiter arrived at a tavern on the outskirts of Bologna one night, weary from their involvement in a battle between Modena and Bologna After much food and drink, they shared a room. The innkeeper, captivated by the two, followed them and peeked through the keyhole. All he could see was Venus's navel. Spellbound, he rushed to the kitchen and created tortellini in its image. Finally the third and most widely believed explanation is that they are based on the shape of a turtle in an effort to replicate the famous architectural features of Modena, where many 17th-century buildings bear the turtle motif. Award... thank you so much http://veronicasjourneytothewest.blogspot.com for this honor. Boil tortellini for 3 minutes. Drain well. Slightly cool. Heat oil to 350 degrees. In a bowl, add eggs, In a separate bowl, add panko bread crumbs, Italian bread crumbs, pinch salt and Parmesan cheese, mix together. Dip tortellini in egg, then dip in flour mixture, making sure to coat well. Add tortellini to oil, cook until brown, about 3 minutes. Remove tortellini from oil and drain on paper towels. Enjoy! Note: The 3 cheese in tortellini are Ricotta, Romano and Parmesan. Sure, I would love to cook dinner for you. Thanks. Looks really good Christine. Love the filling, Sounds divine. Yum, the fried tortellini sound so tasty! My daughter would love these as well as the stories of tortellini's origins. I think I prefer the first version myself. And frying makes everything taste better. This looks good and sound hearty! I like the idea of Venus's bellybutton as the inspiration for tortellini! Another great post! Congrats on your award. I never would have thought to fry tortellini! This looks fabulous, Christine! This is a GENUIS food! I've heard of fried ravioli before (which i LOVE), but never fried tortellini. That sounds even better. Mmm I want some! Thanks so much for all the kind comments. Love you all. Fried ravioli's why not fried Tortellini. I'm really hungry right now so that sounds so delicious. I'm now following your delicious looking blog. You can bet I'll be stopping by again soon. I've had fried ravioli before but never thought of frying tortellini. Great idea and they look delicious! The legends are so funny... how would you only see someone's navel over let's say a face if they were sleeping? Okay I'm sold. I love tortellini but frying it up into thsi little delicious balls of magnificence? Genius! thanks for stopping by my blog, The Sweet Life, yesterday. Looking forward to checking ou more of yours! I love tortellini but never thought of frying them. What a delicious idea! Oh wow!! These look so good! This would be a great appetizer and/or party food on a platter and what a beautiful presentation it would be. Love it...fried tortellini - I'm going to try it! 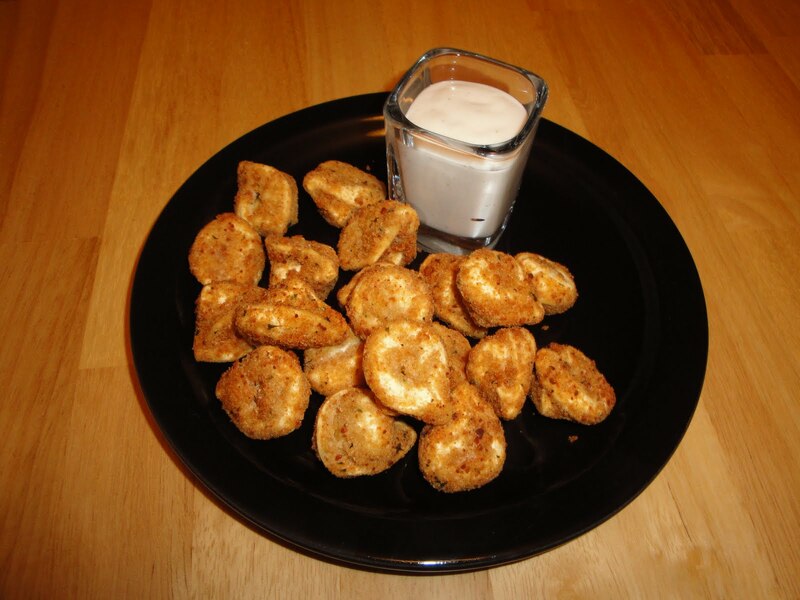 This is a great appetizer and there is such a variety of tortellini out there! Thanks for posting.